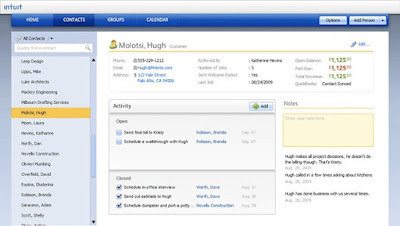 Back in June, I wrote about the exciting Intuit Partner Platform, a vibrant ecosystem that connects large and small developers with small business customers. 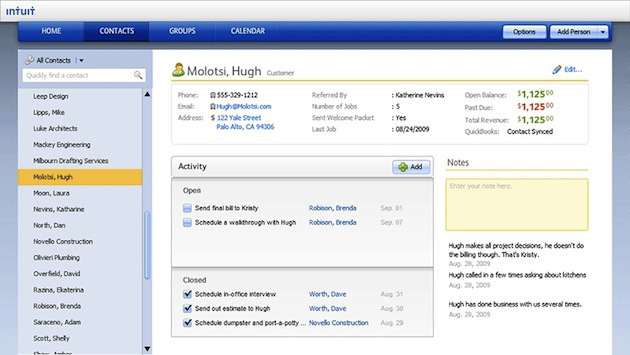 Intuit will also be developing IPP applications ourselves and we just announced the release of Intuit Customer Manager, a great solution for small businesses to organize their front office operations and manage all their customer relationships in one place. Because Customer Manger is an online offering, you can access you customer information from anywhere you have web access. Because it is an IPP application, it integrates seamlessly with QuickBooks. Check out why thousands of businesses have already adopted Customer Manager.